What can we learn from the late 19th century death of the East Asian tributary system? In addition, how can we, as researchers, study the death of practices, of ideas, or of ways of being whose dying leaves few traces in the way of corpses or dates? What are the limits of historical autopsies for such ontological deaths? Such questions inform this talk and the larger project from which it is drawn. This talk proceeds from the claim that the birth of the Westphalian system of international relations (IR) should be located in the death of its last viable competitor, the so-called East Asian “tribute system.” I reframe the induction of East Asia into the modern IR system as a systemic harmonization beyond the control of any single party, rather than as a triumph of Western liberalism as some have previously claimed. Not only does this project contribute to a pluralization of IR by offering a new narrative of its origins which acknowledges the constructive roles played by non-Westerners; it also suggests that our contemporary political choices are limited by our failure to recognize how modern IR’s violent formation and naturalized claims to inevitable universality rely on multiple destructions and erasures of alternatives. 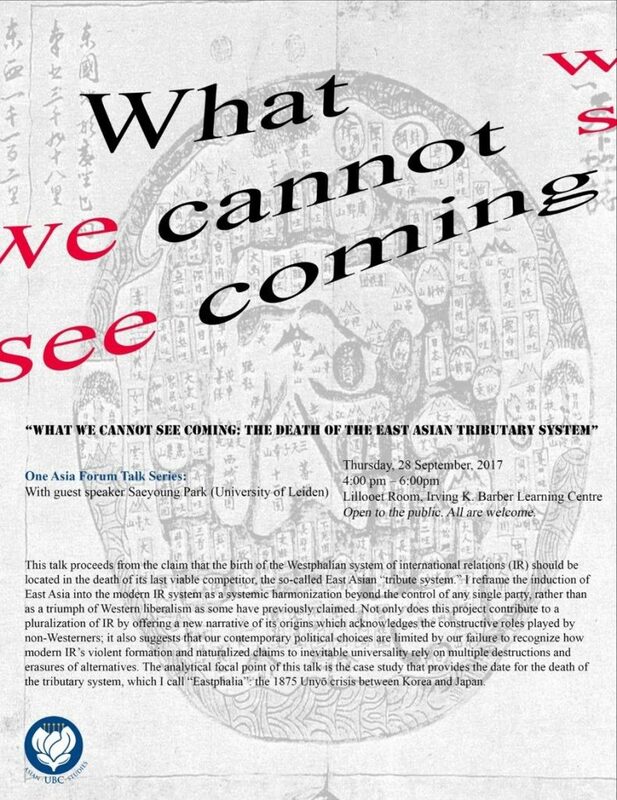 The analytical focal point of this talk is the case study that provides the date for the death of the tributary system, which I call “Eastphalia”: the 1875 Unyō crisis between Korea and Japan. Saeyoung Park is a cultural historian of warfare. 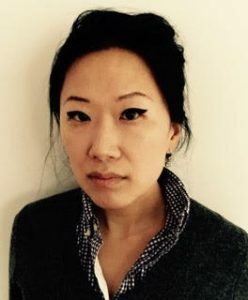 Trained as an early modernist with a focus on China and Korea (1600-present), she is currently working on two parallel projects concerned with systemic birth and destruction. The Death of Eastphalia is concerned with how worlds die. It offers a revisionist history of the modern international system by locating its birth in the 19th century demise of its last competitor, the East Asian tribute system. The Weaponization of Finance is a socio-legal study of sanctions and economic statecraft. At this time, she is a university lecturer at Leiden University and teaches in the IR and Korean Studies programs. fifteenth and sixteenth centuries.